Success, as they say, has many fathers. And failure is a lonely orphan! Secondly, Ministers need to act to ensure proper safeguarding practice across agencies becomes a legal requirement. It has been like pulling teeth to get the Thames Valley Police to place even a part time officer in our Multi Agency Safeguarding Hub. This is totally unacceptable. Together, you need to sort this out through proper inspection and oversight rather than having one inspection regime for the wicket keeper and another for the bowler – the current framework across Whitehall departments is inadequate. With the proposal to appoint our Director of Children’s Services to the “Managing Director” position at Council, some are asking who will be the new Children’s Services Director. It’ll be Alison Alexander! This is because our four Directors are equals, all having responsibility for their departments, but accountable to Members “upwards”. The law requires that we have a Head of Paid Service (our MD) which in practical terms means coordinating staff structures (though decided by the Members), chairing meetings, often being the external spokesperson for the Council, directing and responding to complaints against the Council in the right direction, and a few other minor responsibilities. We abolished the post of “Chief Executive” in 2012, saving the best part of £200,000 a year. The former MD (Mike McGaughrin) retired at the end of 2014, but a couple of Director changes and the 2015 election meant we weren’t in position to appoint a replacement until now…..
http://www.rbwm.gov.uk/web/directorates_organisation_charts.htm contains the basic idea. We’ll update this with a new version shortly as there are obviously changes to be made. When we were elected with a large majority *, the local press got worried that we would have too large a majority. My response was that there were plenty of opportunities to hold the Council to account through regular channels such as petitions, meetings, the press (and indeed although I didn’t say it, social media as well). It’s disappointing that even with an extensive presentation, Q&A, a 14 page explanatory document and countless responses by email and otherwise, opponents of expanding Holyport College still claim the Borough is “refusing” to answer questions as if we have something to hide. That’s simply not the case, and is unfair to council staff (oh the irony!). What is really happening is that the answers do explain our decision (taken unanimously before the election) in extreme detail, but just because it isn’t the answer that the opponents want to hear, they choose to complain that their questions “haven’t been answered” rather than actually articulate a better policy direction for local education provision beyond “fairer funding”. Conservative councils are also campaigning for fairer funding in education! In fact, the complaints about process reveal that there aren’t actually any better fundamental policy approaches; for some in politics, protecting existing institutions is more important than giving choice to parents and providing excellent education. Many Labour councils have sought to block free schools for narrow political purposes. In fact, the Borough has recently received a letter from 5 Maidenhead Secondaries which veers along those lines. Maybe we can publish that with our response? I hope so. (eg one point is they want limited capacity, a 5% headroom, in the local schools system rather than the 10% we’re aiming for. Less choice please! I wonder why…. another priority for Head Teachers and chairs of governors is opposition to a satellite grammar. Yet Theresa May, also massively re-elected this year, has been a vocal supporter of this, as have we.). Opposition coming from the direction of supplier preference is often predicated on what’s best for education suppliers (incumbents), not what’s best for local education consumers (parents and children). Most schools in the Borough – around 75% – are Good or Outstanding. That’s fantastic for parents and a credit to the hard work of the Heads, teachers and Governors involved. Those schools should look to expand if they can, and, like Oldfield Primary, we’ll support that if possible. But one of the questions opponents of expansion should ask is, why are so many parents looking to get into a new and unproven school when there are so many alternatives? Why don’t opponents of growing a new free school ask that question? Let me be clear – I recognise the concern of people who think we are picking winners in some kind of unfair way. And it’s hard to see how we can expand a free school where a senior councillor is the chair of governors without others crying foul, saying “unfair”, and looking for fault and error. Opponents of expanding a free school will indeed campaign – and that needs addressing, with the clear information and straightforward justification of why decisions were taken. So we’ve done that. I also respect the size of the petition and the need to address it publicly (although there are a number of external signatories on there eg apparently from Australia, Derbyshire and with such clarity such as “SJ” and “Nicola”! – there are lots of locals) which is why we’re very happy to debate the matter at our council meeting. What is most important is providing more secondary school places in the Borough, and with an extremely popular and oversubscribed school – statistically the most popular – this is what we have done. That’s a good decision for Borough residents overall and given the same opportunity to expand this local state school for the benefit of local parents and children, I’d do it again, and be very happy with that policy. Eddie Clarke : Q : Why is there no audit trail? … A : There is, and it’s answered and available here . Q : Middle schools admissions? 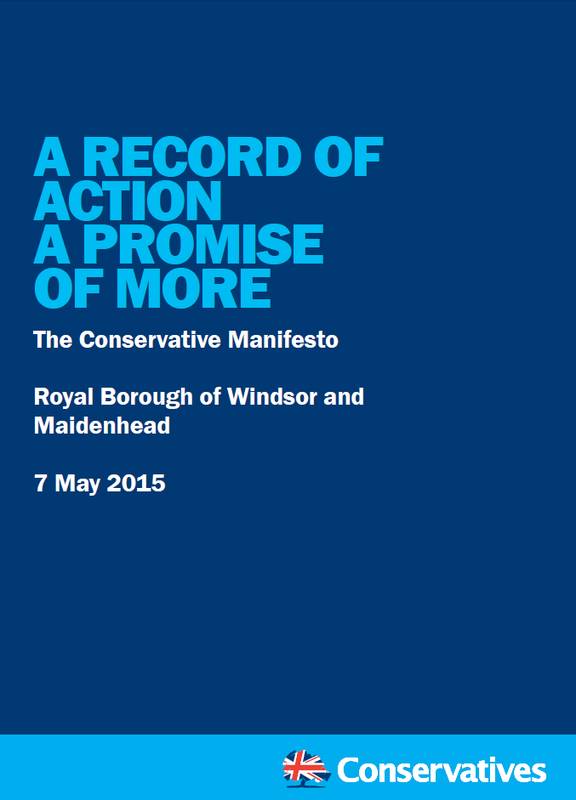 – A: I believe it is so it benefits both Windsor and Maidenhead pupils. For example, in Fifield I have residents “stuck” between the two schools systems because of distance and geography. Q: Hard to comprehend? : A : because it’s hugely oversubscribed, and the developer contribution supports an expansion for 48 extra pupils. Not at all hard to comprehend. Q: Only supporting HC? : A : No. Gavin Ames Q: How’s it going A: It’s going well! I’m not going to bypass our specific process for dealing with petitions however, Council will deal with the petition and questions on the agenda next week. But afterwards sounds do-able! Brian Millin states, seemingly without irony, simultaneously demanding answers and then complaining that I wrote to the press to provide answers, and further then demands that I should do the “decent thing” and give answers in the press, presumably ASAP, rather than wait for the Council meeting. Maybe he will agree that a post-Council engagement would be best . . . . . you can’t please all the people all the time! His questions are answered in the link from Eddie Clarke above. Brian is also asking a public question. Kate Sheehan Q : Why is one of his [me] officers now not willing to respond to our questions? A: because they’ve been answered numerous times! * By the way, there are 57 seats on the council not 59. We won 54, not 56. The Advertiser editorial and Eddie Clarke both get this wrong. Snap! Looking at the public questions, petition, motions and questions coming in for our July Council, it is clear local democracy is alive and kicking! The agenda is published early next week. What a fantastic result! A straw poll on the election afternoon had us hoping to get up to 300 – but nobody was predicting a majority. We can now implement all the good things promised and get on with governing the country for all. I’m delighted for both local MPs – Theresa May and Adam Afriyie, increasing their majorities and pushing the Liberal Democrats down into third place in Maidenhead and fourth place in Windsor. Particular congratulations due in other seats are for my pal Paul Scully in Sutton & Cheam, to Royston Smith in Southampton Itchen, to Nicola Blackwood in Oxford West and Abingdon, to Brandon Lewis in Great Yarmouth, to Chloe Smith in Norwich North, to all the other Berkshire Conservative MPs re-elected and to Kevin Foster in Torbay. All great MPs. Our local election count starts in about an hour. I’ll blog in some detail about our campaign and results afterwards!